 Smiler Cuthbertson , is now a retired member of the British Mountain Guides Association (BMG) and the IFMGA, the International Guides’ Association, and is an active member of many of the important British mountaineering Clubs: The Alpine Club, The Alpine Read the full profile. Smiler Cuthbertson , is now a retired member of the British Mountain Guides Association (BMG) and the IFMGA, the International Guides’ Association, and is an active member of many of the important British mountaineering Clubs: The Alpine Club, The Alpine Climbing Group (an elite core of hard Alpine and Greater Range climbers) and is also a member of all the notable British climbing clubs: The Climbers’ Club (past President), The SMC (Scottish Mountaineering Club), The FRCC (The Fell and Rock (Lake District-based) Climbing Club, and the AAC (Austrian Alpine Club). Smiler started his climbing on the gritstone edges of Derbyshire, and quickly progressed to high quality and difficult climbs in North Wales, where he cut his teeth on the big crags, like Cloggy, the Llanberis Pass, and still his favourite location, the massive and daunting Creag Gogarth. He soon progressed to having yearly summer and several winter alpine seasons, notably in Chamonix and Switzerland, where he achieved success on many of the long and difficult faces, including the famous Eiger North Face, and other north faces (including those completing the famous ‘tick list’ SIX - The Matterhorn, Grande Jorasses (the Walker Spur), Aiguille de Dru North Face, The Cima Grande (the Comici route) and the Piz Badile (the Cassin route). His substantial record of ascents has been achieved over many trips, to the alpine regions of Europe, and further afield, to the Greater Ranges, the Himalaya, Nepal and India, and Peru, Alaska, Russia, East Africa, Spain and Norway, in both summer and winter. 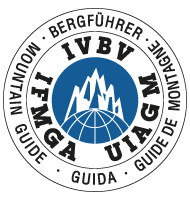 Many of the tours were as a BMG/IFMGA guide, after he graduated through the difficult BMG/IFMGA Guides’ test in 1990. British rock climbing has always been his favourite climbing ground, and he is an ardent fan of steep Scottish ice climbs, and many of the serious routes in Scotland are under his belt, and he is still going strong. Now a mountaineering consultant/ climber, he enjoys British climbing to the full, and slips in regular visits to winter ice locations (Rjukan), and many European hot spots, like the Costa Blanca and Costa Daurada, and the many other superb rock climbing locations in Spain, Greece Germany and the south of France. Many of his ex-clients are now regular climbing partners for trips to special places/climbs, where he continues to use his vast experience, in organising a week here, a week there, for his friends and partners.